Tinashe feels she doesn't ''fully fit in'' because of her skin colour. The 24-year-old musician, who is the daughter of Zimbabwean Michael and Danish, Norwegian, Irish, and English mother Aimie, has admitted being a ''mixed woman'' leaves her feeling like she is not fully accepted in the community. And Tinashe - whose full name is Tinashe Jorgenson Kachingwe - finds the struggle to be accepted because fo her appearance ''confusing''. 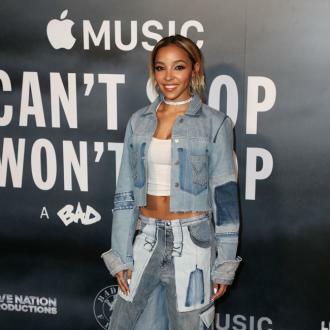 Although Tinashe has admitted her life journey has not ''always'' gone according to the plan she had mapped out, she is determined she will reach her ''end goal''. She said: ''Things haven't always gone according to my original plan but that's life, and things change.